The best of a pretty bad bunch was V/H/S, an anthology of found footage horror shorts from various directors. Each of the shorts purports to be a real video tape in which one or more of the protagonists meets a grisly end. The stories cover a variety of horror subgenres, including an encounter with some kind of succubus type creature (Amateur Night), a send up of slasher movies (Tuesday the 17th) and a haunted house/ Satanic cult scenario (10/31/98). My favourite segment, "The Sick Thing That Happened to Emily When She Was Younger" chronicles a series of live Web chats between a girl and her boyfriend, with the girl attempting to persuade him that supernatural intruders have been creeping into her flat at night. One of the benefits of this form of horror movie is that you rarely get the chance to get settled or used to a particular villain, so the potential for consistent scares is higher than with a 'normal' horror film. However, I found that although there were some genuinely scary moments, most of the characters involved in the shorts, from the horrible frat boys in Amateur Night, to the idiotic college students in Tuesday the 17th, were either insufferable or just really boring. V/H/S is a real mixed bag, and not entirely successful. Still, at least it held my interest for a couple of hours, so it's better than the next two films in this week's round up. At the very bottom of the pile this week was Logan's Run, a '70s sci-fi flick which is now really showing its age. What's particularly frustrating is that the movie is based on quite an interesting premise, yet isn't able to build upon it. It's set in the year 2274, in a futuristic city whose inhabitants live a joyful and hedonistic life until they reach the age of 30. At this point, the fun has to end, and they are vapourised in a ritual known as 'the Carousel', though the belief amongst the cityfolk is that this process enables them to be 'renewed' in the form of a newborn baby. Logan 5 (Michael York) works as a 'Sandman', which is to say that he guards the city, preventing anyone nearing the age of 30 from escaping before they meet their final judgment. However, after he's tasked with a top secret mission - finding and destroying a base for escapees known as "The Sanctuary" - he's required to pose as a runner, and in order to do so, he seeks the help of Jessica 6 (Jenny Agutter), an idealistic young woman. As he goes on the run with her, he finds himself accepting her ideas and questioning the preconceived ideas of the society in which he lives... Anyway, all of this is fine up to a point, but there are a number of massive, glaring plotholes that are revealed as the story progresses. For example (big spoilers ahead) - at the very end of the film, Logan has turned against his former employers, and decides to bring down the government of the city. In order to do this, his grand plan is to re-enter the city, shout some slogans about the Carousel being "a lie", and hope eveyone immediately changes their mind. Though this doesn't work and he's immediately captured by another group of Sandmen, his plan pays off anyway. During his interrogation by the computer which runs the city, he succeeds in confusing it, and for no apparent reason, the whole city just immediately blows up! It's as if the screenwriter came up with the initial concept, but had no idea about how to follow through with a decent story. That's not the only problem with the movie. The sets, costumes and special effects look very dated now, Michael York is rather hammy as the eponymous hero and the second half of the movie feels both drawn out (our heroes spend about half an hour having a boring conversation with an old man, born free in the outside World) and anticlimatic. Pretty poor. Finally, we come to Parker, the latest vehicle for cockney hardman Jason Statham. He plays Parker, a professional thief who is doublecrossed by his partners in crime after a successful heist - and left for dead at the side of the road. Of course, old Parker isn't going to take this lying down, so he decides to take revenge against those who have wronged him. Now, if the plot had been as straightforward as the explanation I've set out above, I think this could have been a pretty decent picture. 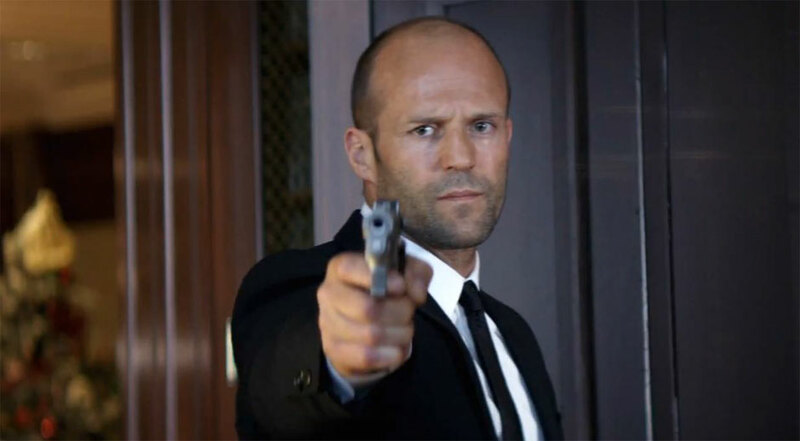 I'm not a huge fan of Statham, but he's effective as an action hero, and had the movie been a simple matter of: "1. Parker is wronged; 2. Parker gets revenge; 3. The End", I think it would have worked (that's basically the plot of Payback, which isn't a bad film). Unfortunately, in order to pad out the running time, we take a lengthy and tedious detour in which Parker dons a Cowboy hat and a bad Texan accent and slowly and laboriously stakes out the movements of his former partners as they plan a new job in Florida. This section of the film seems to have been sponsored by the Tourist Board for Palm Beach, as it consists of a number of guided tours of the many fabulous mansions of the area, together with various speeches on the fantastic lives of high society folk in the area. Jennifer Lopez makes an appearance as an estate agent who helps out Parker, but her character doesn't make much of an impression, and could easily have been jettisoned without much of an adjustment to the story. I suppose I wasn't really expecting great things from this picture and ultimately, it was only slightly worse than I had anticipated. 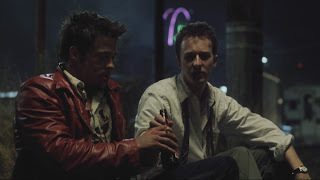 "Tyler Durden: If you could fight anyone, who would you fight? Narrator: Shatner. I'd fight William Shatner."